Decorate your French classroom with this verb word wall. 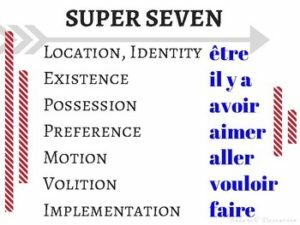 Included are the super 7 as postulated by various Comprehensible Input gurus. This poster includes the infinitives only.Support your students’ acquisition and see their statements become more complex with this handy reference available to them.